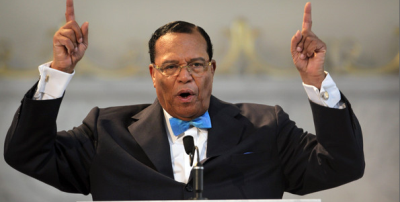 In a sermon reminiscent of the fiery rhetoric of an Islamic State preacher, Nation of Islam leader Louis Farrakhan, now 82, said in Miami the time has come for 10,000 black volunteers to kill white Americans. In the sermon at Mt. Zion Missionary Baptist Church, Farrakhan said he was looking for "10,000 in the midst of the million ... 10,000 fearless men who say death is sweeter than continued life under tyranny" to retaliate against white Americans because of their alleged oppression of black people. Farrakhan said the Quran calls for retaliation when "slaves" are oppressed. "Retaliation is a prescription from God to calm the breasts of those whose children have been slain. So if the federal government will not intercede in our affairs, then we must rise up and kill those who kill us. 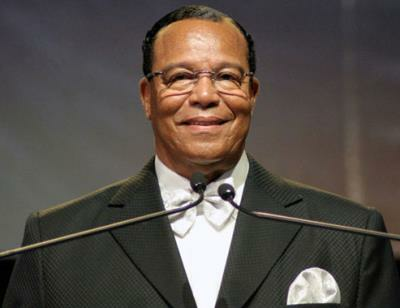 Stalk them and kill them and let them feel the pain of death that we are feeling," Farrakhan said. "Death is sweeter than to continue to live and bury our children while white folks give the killer hamburgers," Farrakhan said, referencing the arrest of Dylann Storm Roof, who killed nine black church members at the Emanuel African Methodist Episcopal Church in Charleston, S.C., June 17. "Death is sweeter than watching us slaughter each other to the joy of a 400 year old enemy. Death is sweet. The Quran teaches persecution is worse than slaughter." The content of Farrakhan's sermon was published at his website Final Call, which promotes the upcoming 20th anniversary of the Million Man March on the National Mall in Washington, D.C. That event will take place in October, the culmination of his national "Justice, or Else" tour. According to the Nation of Islam paper, the anniversary march "will be no frolic, no picnic, no folly, but a serious demand for justice place before a government rife with injustice in police killings of blacks, Native Americans and others inside America." Farrakhan also pointed to the oppression of blacks by whites as the chief reason for unrest in America, but also pointed to the crisis of blacks killing other blacks through "fratricidal violence." "And the police, when they kill us, they put the lie out first and then back up the lie with the institutions of government of White Supremacy. And so even though we march and even though we fight against this injustice, it continues unabated." Farrakhan said whites, "like serpents," are deceptive. "They would like to charge us with radicalizing our people by telling the truth, but every time they kill a black man or beat up a black woman or unjustly stop us for traffic violations and then kill us, we are being radicalized. They are the ones who are radicalizing us. 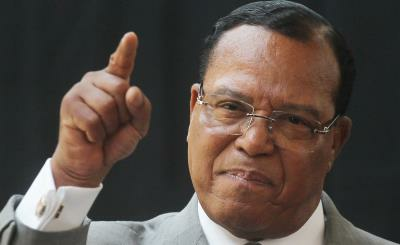 All we are doing is telling the truth of what they are doing," Farrakhan said.